The observance of Road Safety Week at CEAT began on 10th January 2015 with Nation Wide Road Safety Drive that spread awareness about importance of adopting safety measures while driving to make India’s roads safer. 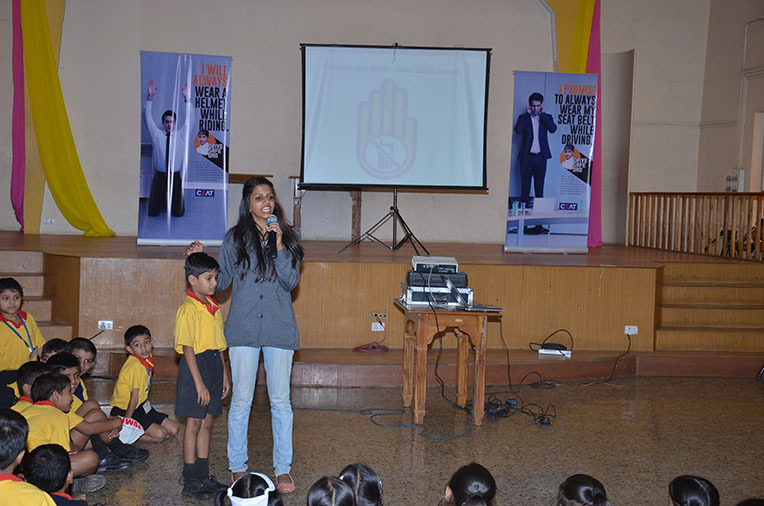 Continuing their efforts, CEAT engaged with more than 500 children in Mumbai across the 5-10 year age groups under their campaign titled ‘DRIVE SAFE DAD’. 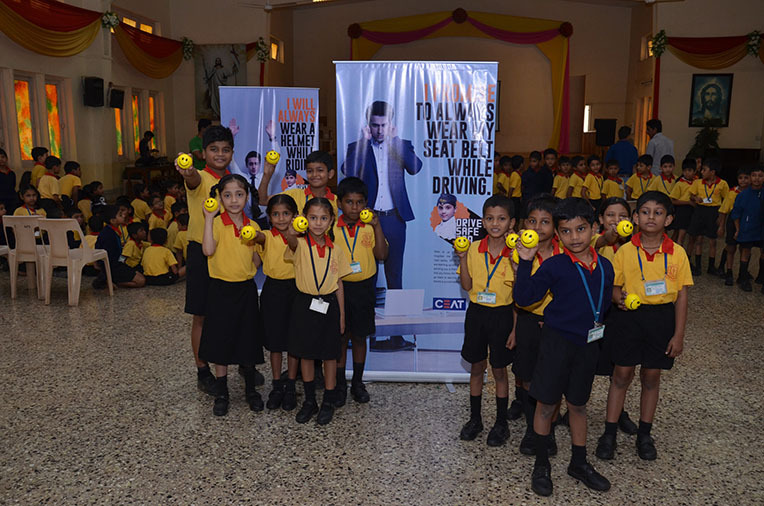 The campaign aimed at educating these kids in the nuances of safe driving in a fun way; thereby kids would be encouraged to pass on road safety messages to their parents which will have a larger impact on them. As a part of this campaign, CEAT also recorded safety messages from the kids that will be relayed to their parents throughout the Road Safety Week through their mobile phones making it difficult for parents to miss and is bound to have bigger impact. The kids also shared their experience of travelling in vehicles with their parents and what they felt about road safety. A session was conducted on right use of honking, use of zebra crossings, slow driving near schools and colleges, wearing seat belts and helmets; as some of the critical measures in road safety. “I have seen my father riding his bike really fast and he was not wearing a helmet. So I have recorded a message today that will be sent to him, asking for a promise that he will wear his helmet daily while going to work every day.”, Said Dhurmi, 7 year old girl.